With an unwavering desire to help people, Dr. Ryan was drawn to the healthcare field. When he was finishing his bachelor’s at Rutgers University, he contemplated what his next steps would be. While at the campus bookstore he picked up a medical school guide and read all the descriptions of the various disciplines. The discipline on chiropractic care made the most sense to him. Dr. Ryan earned his Doctor of Chiropractic from Life University in Marietta, Georgia, graduating with high honors. Sarah Spicuzzo is the owner and clinic director of Deerfield Health and Wellness. She is a Florida native, growing up in the small town of Sebastian. After spending much of her time volunteering in a medical office, she moved to south Florida to pursue a career in the health care field. Sarah received a Bachelor’s of Science degree in Dental Hygiene from St. Petersburg College. 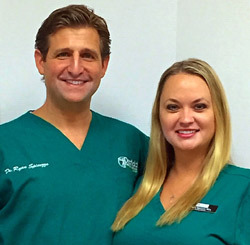 While practicing dental hygiene, she also became an adjunctive clinical instructor at Palm Beach State College. She then became a Registered Chiropractic Assistant. Being a health care provider for over 10 years has given her a wide variety of experience. 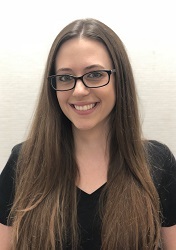 Sarah has committed herself to providing excellent patient care and enjoys building lasting relationships with our patients. In order to provide the best possible care, Sarah prides herself on continuing to expand her knowledge in the medical field. Cecelia Morris is originally from New York, growing up in the small town of Spring Valley. She moved to South Florida over 10 years ago. At a young age, she realized her passion for helping others and desire to work in the medical field. In 2009, she received her certification for medical assisting and phlebotomy from MedVance Institute. After discovering her love for Chiropractic care, she became a Registered Chiropractic Assistant. Cecelia enjoys educating patients on the benefits of regular chiropractic treatments and importance of their spinal health. 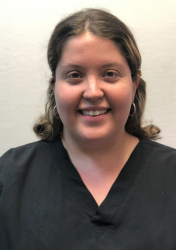 As the Office Manager of Deerfield Health and Wellness Center, Cecelia is happy to schedule our patients for their Chiropractic and Massage therapy needs. 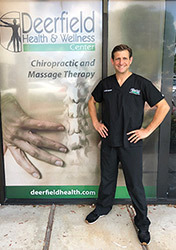 Eddy is the Lead Massage Therapist at Deerfield Health and Wellness Center. He has been serving the community with therapeutic massage for over 17 years. He graduated from the American Institute of Massage Therapy in 2000. Continuing his education, he received advanced certifications as a Clinical Neuromuscular and Structural Bodywork Therapist. In addition to his massage therapy certifications, Eddy also became a Registered Chiropractic Assistant in 2016. Eddy customizes his treatments specifically for his clients’ needs including Deep Tissue, Neuromuscular, Trigger Point Therapy and Myofascial Release. He integrates different techniques and modalities to accommodate his patients. By doing so, he is able to assist his clients in achieving higher levels of performance and healing. 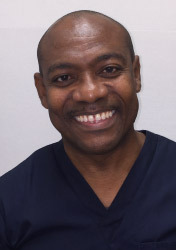 Eddy is pleased to serve his clients with personalized sessions and relieve them from any pain or stress. He has been married for 21 years and has two children. Nikolette Cady is originally from Pennsylvania and moved to Florida over 10 years ago. After seeing the back pain her mother went through and the relief she felt from massage, chiropractic, and physical therapy, she was inspired to help people in the same way. She graduated Broward College in 2008 and has been practicing as a licensed massage therapist for over 10 years. She’s worked in many environments such as, Chiropractic, Acupuncture, Spa, and Rehabilitation centers. Nikolette specializes in deep tissue and trigger point therapy and is also trained in swedish, reflexology and prenatal massage. Nikolette takes the time to customize each massage to fit the needs of her client and ensure they leave feeling better and on the right path to healing. Give our Deerfield Beach office a call today.